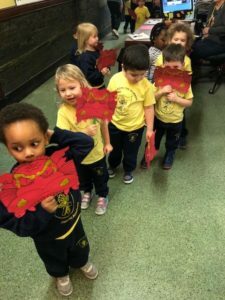 PreK 3 and 4 Celebrate Chinese New Year! 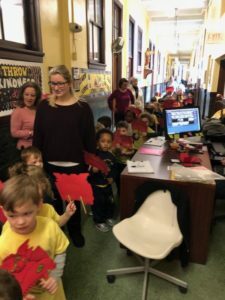 PreK 3 and 4 learned how to say Gong Xi Fa Cai as they learned about and celebrated Chinese New Year. 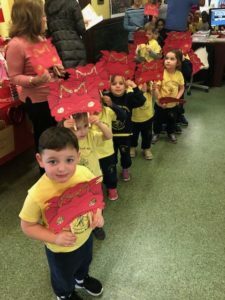 They made beautiful dragon masks and paraded as they celebrated the year of the pig.